This trek at Porto Conte near Alghero stretches for 13 km. A long but pleasant walk immersed in nature. The beauty of the landscape will repay your fatigue. 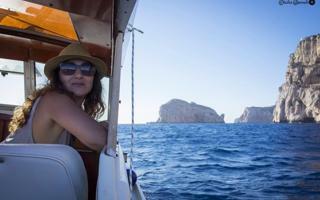 The look is lost without borders on the whole natural park of Porto Conte, Capo Caccia and Punta Giglio. The excursion takes place on a dirt ground around Timidone Mount. The mount is located in “Le Prigionette” forest area. The first part of the trek is uphill and a bit tiring. Once crossed the mount, we will continue on walking along this beautiful coastal tract of northern Sardinia. During the return, we will pass near a large pasture. We will meet white and grey donkeys, horses of “Giara” and, with a bit of luck, deers. I am a naturalistic guide. I will explain in details the local coastal habitat characterized by cliffs and lush vegetation. I will show you Centaurea Horrida, paleoendemism of the area. For this trekking trail you need to be trained in long walks. Bring water, snacks, and packed lunch with you. What are you waiting for? 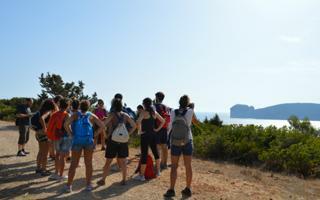 Book now “Sardinia walking: Timidone Mount” in Porto Conte - Alghero.